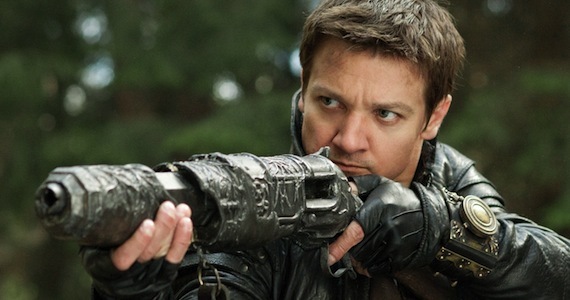 I quite liked the trailer for Hansel and Gretel, sure it didn't look like anything special but seemed like it would deliver on being a solid fantasy action flick. 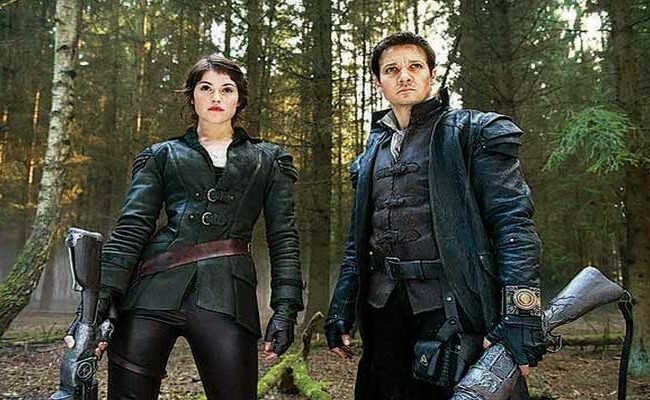 Hansel (Jeremy Runner) and his sister Gretel (Gemma Arterton) have spent their lives as bounty hunters specialising in witches after being kidnapped by one as children. After a load of children vanish from a small forest village the siblings are hired to rescue the kids and stop the witches. It seems that head witch Murial (Famke Janssen) is planning to do a ritual under the blood moon which will make her and her fellow sisters immortal. While there were no surprises this was a solid enough film that had plenty of cool fight scenes and more violence than I expected. All digitally done for the most part but people get their heads caved in, explode in bloody chunks, and even get ripped apart limb by limb. 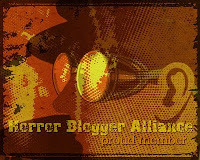 Along side this you have quite a few F-bombs going off, and a rocking industrial soundtrack that brings a weird sense of modernity to the fairy tale setting. There is plenty of scrappy violent close quarters fighting, it is good to see the two main chracters get visibly damaged during the course of the film, all cut lips and dark bruises on both of them. 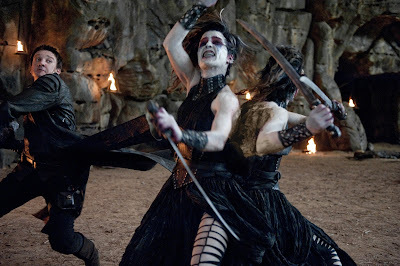 In a way it reminded me of Van Helsing (2004) that many people frown at, but it is very similar in nature with a too cool hero using bizarre weaponry out of place in a fantasy setting. Along with a strange looking shotgun and crossbow there are mini guns, collapsible rifles and hand grenades in abundance. 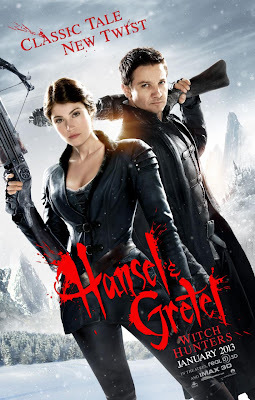 The witches of Hansel and Gretel are really not that great as villains, for the most part they totally ham up their parts, looking quite ridiculous, I was nearly laughing at the surreal chase sequence near the films start that saw some pointy chined hag charging through the trees pursued by a shotgun blasting loon. 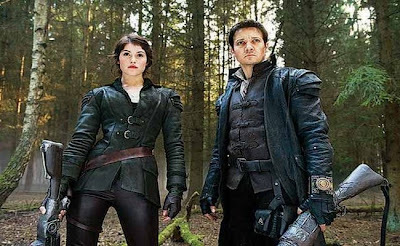 Runner and Arterton do a good enough job in their roles, even if at times it seems the two are uncomfortably close. Hansel having diabetes from being force fed candy when he was a child was a weird plot device (apparently Gretel originally had been planned to be suffering from an eating disorder also). I saw the film in 3D, it actually was not too intrusive and really works well in a woodland setting, just a shame it was nearly a quarter of the way into the film before the projectionist realised he had not widened the screen meaning around a quarter of the film was being projected either side onto dark walls which was annoying. The plot is nothing special at all, it is so obvious what is going to happen but sometimes it is good to just disengage your brain. Better than average but definitely not a great film, enjoyable nonetheless, an extra Rotting Zombie head due to the inclusion of Gemma Arterton being easy on the eyes. Also good to see a film that is not padded out to make the run time longer, I am more than happy with 88 minutes!